I have been volunteering since I was a little kid. Volunteering has always and will always been in my blood. My parents and grandparents were always involved in my community in Florida when I was growing up, so it was second nature for me when I moved to Dallas. 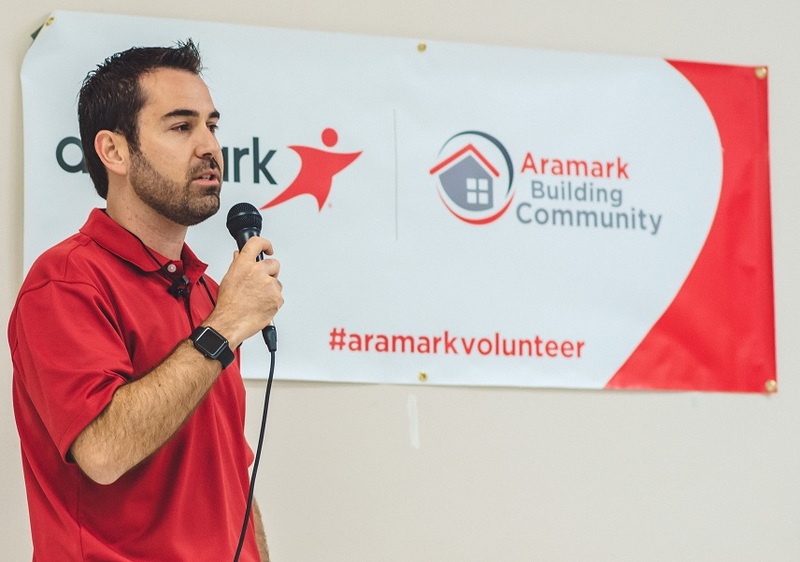 While working for Aramark in Dallas I learned about the volunteer projects that the Dallas Star Team employee group hosted throughout the year. I was hooked from our first project. I’ve lost count on how many projects I have been part of. How has volunteering with Aramark helped you make an impact on your community? Volunteering with Aramark has allowed me to get more involved in the community that we live in. Working for Aramark, a food service provider, our employees have the knowledge to help our community with health and wealness education. Healthy For Life 20 By 20®, our initiative with the American Heart Association, has also opened wonderful doors with our community. 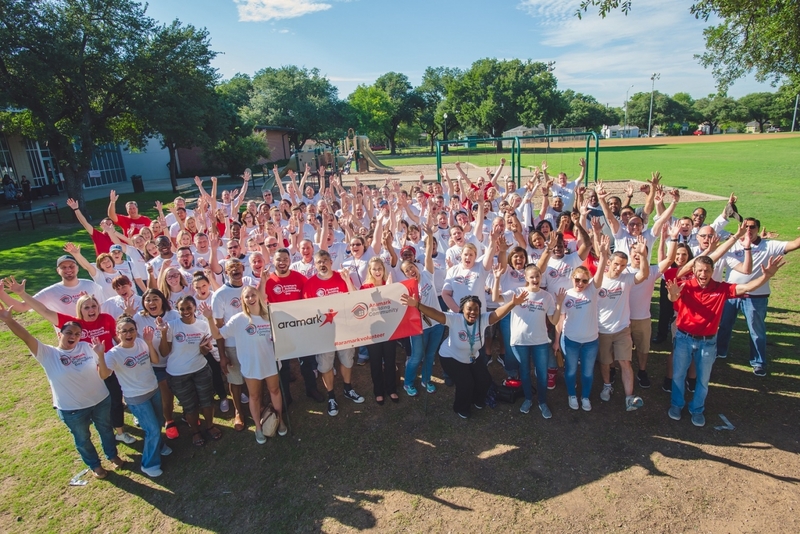 What is Aramark Building Community Day, and what does it mean for employees? What was your ABC Day project for this year? How do you encourage and motivate your colleagues to get involved each year? This year we hosted a large health and wellness education fair at Buckner, a local nonprofit organization. Over 400 community members joined us. They traveled through seven different expos that included general fitness, stretching, culinary demonstrations, and consultations with our registered dietitians. At the end of the expos, they shopped in our farmers market and were able to take bags of fresh produce home with them. At the same time Aramark volunteers made snack kits for the kids in the community, welcome baskets for the new single mothers and organized and packed shoes for the Shoes For Orphan Souls program. It really isn’t hard to encourage people to volunteer for our Dallas projects because of the following we have built over the years. Our retention rate for returning volunteers is amazing. Now our focus is word of mouth to ensure we are capturing new Aramark employees. Is there one person or family that you’ve been able to help that really made an impression on you? 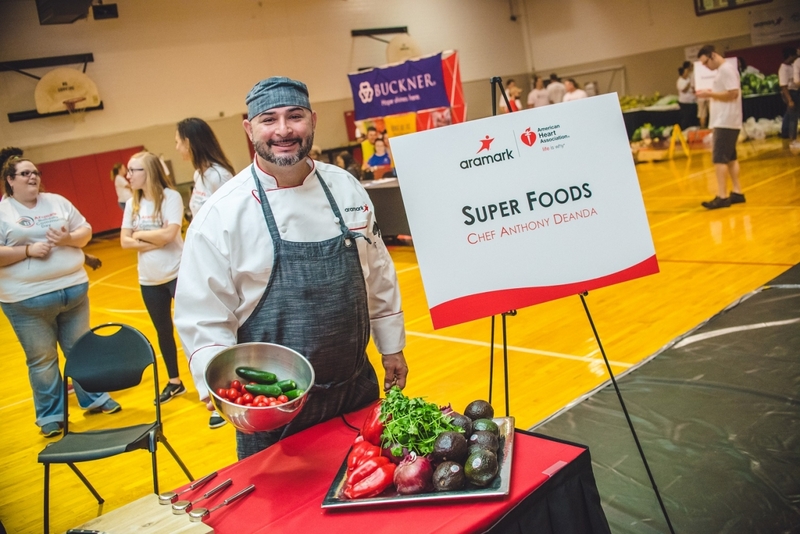 Buckner works with Aramark on a Feed Your Potential 365 Club. The clubs were created to bring community members together and teach them cooking and nutrition skills. I have been able to see the community members in the class grow from week to week. These community members wanted to learn and improve their health. The problem was they didn’t have access to the culinary and dietary information. Through the FYP Club these community members have been able to achieve their own goals and support the family and extended family in achieving their goals as well. Do you have suggestions for people who are looking to get more involved in their community? I would encourage anyone who wants to get involved to just get involved. Start small and build on your success. Reach out to others and ask them what they’re involved with and how they got started. Anyone can make an impact on the communities where we live and work.